When brushing and flossing your teeth, does your toothbrush or the floss come back clean or bloody? 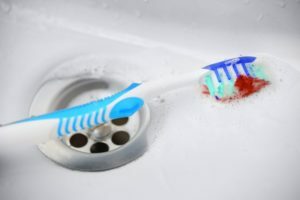 If there’s no tinge of pink or red, your gums are in good shape; however, if you notice any blood during your morning or nighttime dental routine, it could mean a serious oral health problem like gum disease. If you want to know what you can do, let a dentist in Somerville share a few tips on how you can stop bleeding gums. You may be surprised to know that you don’t have to be “old” to have many of the health-related conditions out there. However, age can play a factor in the severity of a disorder if you’re not careful. 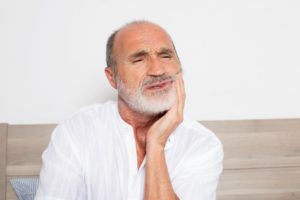 When it comes to gum disease in Somerville, there are certain dangers you should know about, especially if you are an older adult. Let us explain further so you and your dentist can determine the best treatment plan. 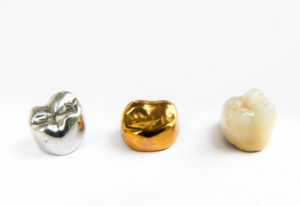 Did you know almost everyone has had some sort of tooth decay in their life? Additionally, it is estimated that over ¼ of people have untreated cavities. This leaves some questions: how do you know when you have decay? How do you know when to get a filling? 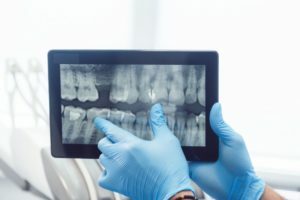 Read on to learn the answers to these questions as well as what the filling procedure is like from your dentist in Somerville. Why Is Periodontal Therapy in Somerville So Important? Lots of Reasons! 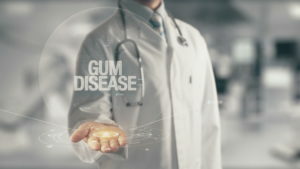 Did you know that an estimated 3 out of 4 Americans have some form of gum disease? Unfortunately, although many people are aware of the importance of cavity prevention, they don’t think about their gum health. But the truth is that your gums are every bit as important to your smile as your teeth are. In fact, gum disease (also called periodontal disease) is the leading cause of tooth loss. The good news is that there several effective types of periodontal therapy in Somerville that can reduce your risk of tooth loss and help you enjoy a healthy smile well into old age. Keep reading to learn more about why your gums are so important and what you can do to improve them! Here’s Why You Shouldn’t Wait To Get a Dental Crown in Somerville! In life, there are some things you can put off and other things you can’t. Holding off on washing the car? No major consequences there. But procrastinating on an oil change for your car? That’s another story! It’s well known that letting small problems go in your car can lead to major breakdowns down the road. Your teeth are actually very similar – when patients don’t follow through on recommended treatment, it can lead to the need for more extensive treatment later on. 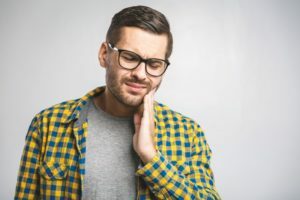 In this blog, you’ll learn why you might need a dental crown in Somerville – and why holding off on treatment can have major consequences! How Long Does the Invisalign in Somerville Process Take to Complete? Having a correctly aligned smile is priceless. It leaves you with more confidence and improves the function of your teeth. Still, to correct your crowded, gapped or misaligned digits, you don’t want to wear traditional braces. You’re left wondering, “Is there a better way?” There is one with Invisalign in Somerville. As you read on, you’ll learn what it is and how long it takes to complete the process. There once was a time when the only way to correct your bite issues was with traditional braces, but now a new day has dawned. 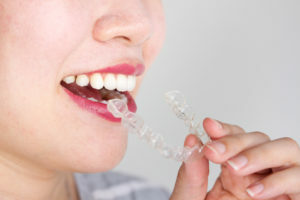 With the advances in the dental industry, you can now straighten your teeth in a discreet manner with Invisalign in Somerville, but what can you do about any temporary discomfort that comes along with the process? Your local dentist weighs in with some helpful tips. Invisalign in Somerville: Easier On Both Teens and Parents! It’s hard to forget the highs and lows of adolescence. Although that first taste of independence is thrilling, it’s simultaneously mixed with a lot of stresses and strains! The good and the bad combine to make the teen years “the best of times and the worst of times.” As a parent, it’s natural to want to ease the negatives and enhance the positives during this phase – for both you and your teen! Fortunately, there’s an easy way to do that if you’re looking for a way to straighten your child’s teeth. Invisalign in Somerville is an invisible, comfortable option for teens that is also much easier on parents as well. Keep reading to find out more! Braces vs. Invisalign in Somerville: Which is Best? Spring is in the air. New flowers are blooming, and the temperatures are rising. With a sense of new beginnings, now is the perfect time to invest in yourself with the smile that you have always wanted. 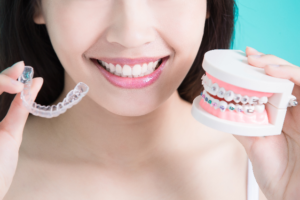 If you have lived with insecurities from misaligned teeth, you can now get the smile of your dreams with braces or Invisalign in Somerville, but which is the right choice for you? There are several benefits to each option to help you improve your confidence with a healthy, straight smile.